We offer a wide range of programmes across Hairdressing and Beauty Therapy from level 1 to level 3. You can study with us full or part-time and we also run short courses throughout the year in popular and new and exciting treatments. Our realistic salons are fully equipped to offer you a first class learning experience and all of our staff are highly experienced to provide you with a wealth of knowledge and skills that will set you up for a career in the Hairdressing and Beauty Therapy industry. Our students have successfully competed in the regional and national ‘World Skills’ competitions over a number of years and this year one of our students was selected to work with the international world skills team for a competition to be held in Rio De Janeiro. The Hairdressing and Beauty Therapy industry is an ever-growing exciting and vibrant one, so why not join us and embark on a new journey, whether you are a school leaver or adult, we have a programme just for you. 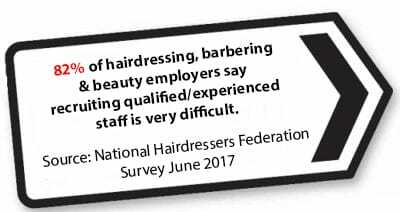 For further information on all kits required for Hairdressing, Beauty Therapy or Nail Technology courses, please ask the tutors at interview.